Out of production and only 1 left in stock as of 9/25/15, order today! 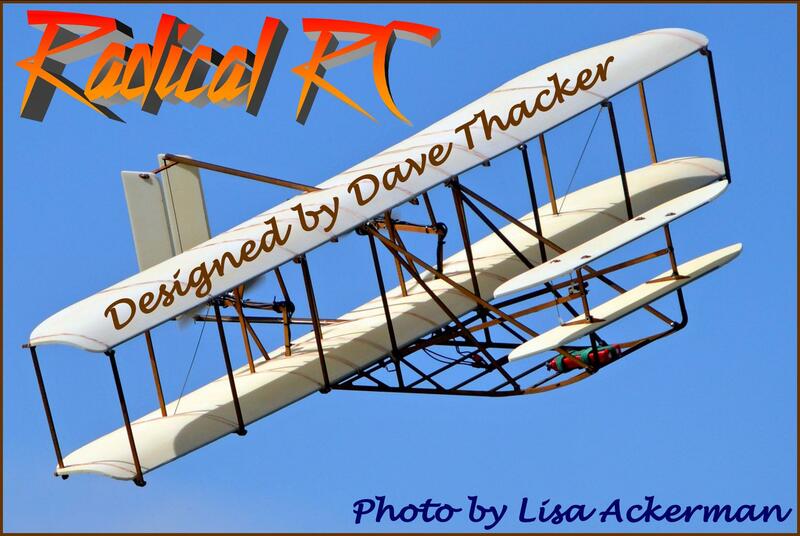 Old Time, Contest Winning, Free Flight Model! Midwest updated version of an old time favorite, originally designed by Wally Simmers. Printed parts on balsa and ply with stripwood. All materials needed to build a 12" diameter folding propeller. Full size plans & building tips. Covering tissue, wheel material, LG wire, window acetate and contest grade rubber included. Additional items to complete the model: glues, clear dope, dethermalizer fuse. Kit intended for experienced modelers. Souper 30 P-30 Rubber Free Flight 30"
Popular P-30 Contest grade model. Pre-cut ribs, stick and tissue construction. Rubber motor, prop, tissue and DT hardware included. Many of the sticks are pre cut. Very impressive quality kit. Designed by Lee Campbell. Souper Coupe F1G Rubber Free Flight 38"
Popular F1G Contest grade model. Pre-cut ribs, stick and tissue construction. Rubber motor, prop, tissue and DT hardware included. Many of the sticks are pre-cut. Very impressive quality kit. Designed by Lee Campbell. Popular P-30 Contest grade model. 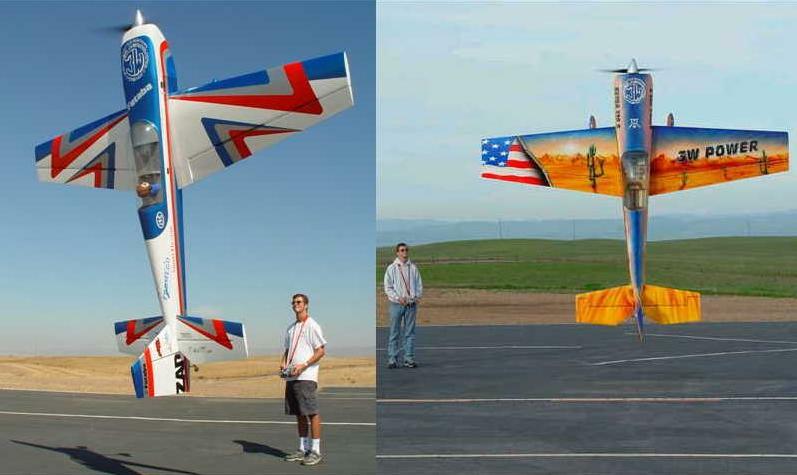 Design set new open category record of 30:08 in 1990 flown by Paul Herbst. Pre cut ribs, Stick and tissue. Prop, rubber motor, DT and prop shaft hardware included. Free Flight Rubber Powered Model. 32 inch wing span. By Campbell's Custom Kits. Folding Propeller. Twin Rudder. Japanese tissue. Free Flight Rubber Powered Model. 28 inch wing span. By Campbell's Custom Kits. Folding Propeller. Twin Rudder. Japanese tissue. Back in stock! Ryan Navion Rubber Scale Free Flight 30"
Popular low wing light plane scale model. Precut ribs, stick and tissue construction. Rubber motor, prop, tissue and hardware included. Very impressive quality kit. Smith Mulvihill OT Rubber Free Flight 38"
1941 Nats winner. Prop blanks are marked for carving. Pre-cut parts. Hardwood hub. Japanese tissue. Manufacturer back order, no ETA for production at this time, sorry! This 32" Old timer Rubber Model originally designed by Wally Simmers. Contains: Pre-cut ribs, tibs, rudder, prop blades, Japanese tissue, full sized plans and all needed hardware. A Campbell's Custom manufactured kit containing only the best hand picked materials. Ever wish you could build a Gull without cutting out all the print wood parts? Well here it is. Manufactured with materials hand selected by Lee Campbell, real competition free flight. He knows is balsa weights and grains. So, the quality of the materials will be first rate (unlike many of the factory kits). This is a large rubber free flight model at 42" and presents excellent opportunities for small E-Power plants. In production, expected early this summer! 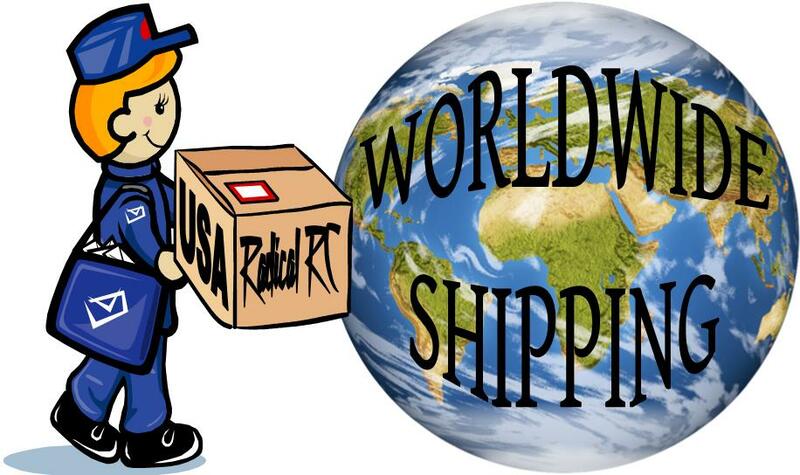 Order today to be the first on the list for shipment! 32" wingspan. Simple, stick construction & printed balsa type cutout parts of Old Time Rubber Classic 40's design. Designed by Ed Lidgard. Great for introducing youngsters to flight and modeling! Want a real challenge? Try this with modern micro RC electronics! 32" wingspan. Simple, stick construction & printed balsa type cutout parts of Old Time Rubber Power Classic 40's design. 25" wingspan. Rubber powered stick model. Designed by Duane Webber. Simple, stick construction & printed balsa type cutout parts of Old Time Rubber Power Classic design. 16" wingspan. Rubber powered stick model. Designed by Joe Konefes. Simple, stick construction & printed balsa type cutout parts of Old Time Rubber Power Classic 1930's Comet design. 25" wingspan. Rubber powered stick model. 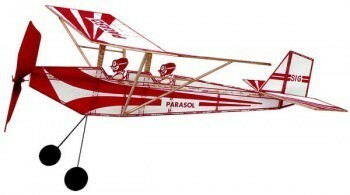 Simple, stick construction & printed balsa type cutout parts of Old Time Rubber Power Classic design of Aeronca K model. Builds Like An AMA CUB! Taking a page from the ultra-simple AMA CUB design, designer Clark Ross came up with the PARASOL. This scale-like rubber model has a "profile" fuselage which you build along with the wings and tail, right on the pre-printed covering material. No painting is required! Looks like a scale job in the air, but only half the work. Flies great! 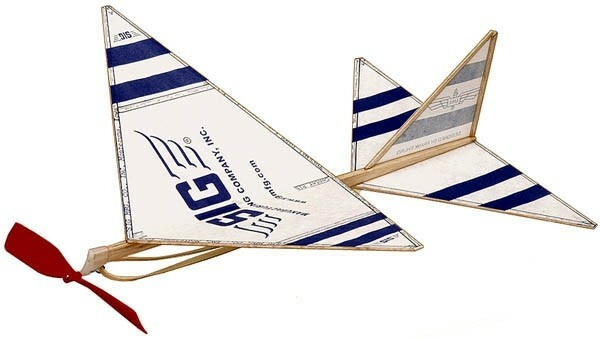 Sig Free Flight model airplane kits contain high quality balsa parts, plastic propeller, rubber motor, covering material, detailed building and flying instructions. Where applicable, the landing gear and wheels are also included. 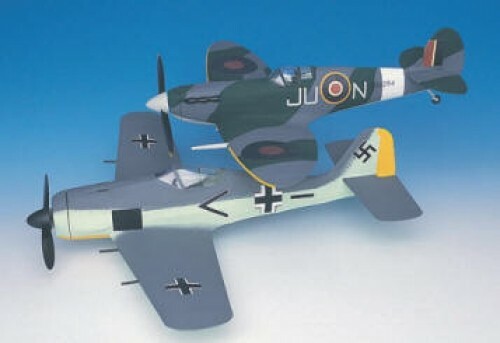 The Sig Cub was designed to be a simple, but capable, "advanced trainer" for modelers learning the ins and outs of trimming a F/F model. This little gem is capable of long high flights, limited only by the developing flier's knowledge. Kit Features: Die-cut Balsa Parts, Molded Plastic Propeller, Molded Plastic Wheels, SIG Contest Rubber Motor, Covering Material, Detailed Building And Flying Instructions & Detailed Full-Size Plans. 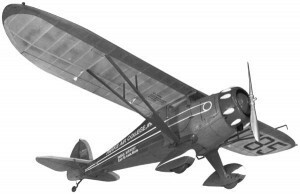 When Hall of Fame modeler Frank Ehling set out to design a simple little rubber power model that AMA could use to introduce newcomers to the hobby, he probably never thought he was drawing up the most popular model airplane of all time. This is the same model that has been used since 1968 in beginner's promotions around the world. Very easy to build, yet can turn in some amazing flights. Perfect for a group build. 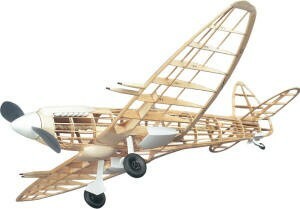 Kit Features: A Ready-To-Use One-Piece Balsa Stick Fuselage. 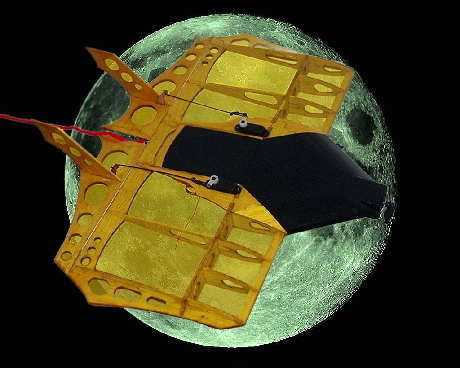 Printed Covering Material On Which The Wings And Tail Surfaces Are Constructed. A Ready-To-Use Molded Plastic Propeller Assembly. SIG Contest Rubber Motor. Detailed Building And Flying Instructions. The Kit Includes Everything Except The Glue! 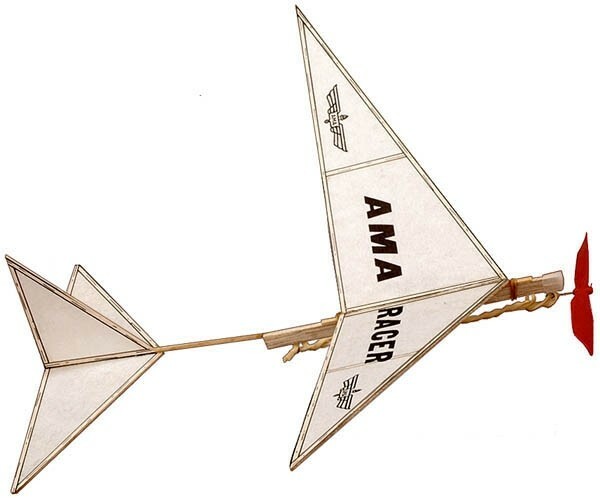 The AMA Racer is another model designed by Frank Ehling for beginners. Very similar to the legendary AMA Cub, only bigger and with a few more advanced features. For instance, the wing position on the AMA Racer is adjustable for more exact flight trimming. It is very easy to build, yet turns in amazing flights. The full-size Monocoupe was always known for its exceptional flight performance. 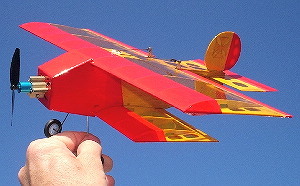 Tom Stark's model of this classic lightplane has proved to be a winner from its first test flight. Now you can duplicate this little beauty for your own enjoyment. 1973 Nationals Winner. Includes Sig contest rubber, die cut balsa parts, covering material, wheels, prop, instructions, plans with isometric views and full set of decals. Potential for electric conversion with todays modern micro gear. Only 2 kits left in stock! While supplies last!